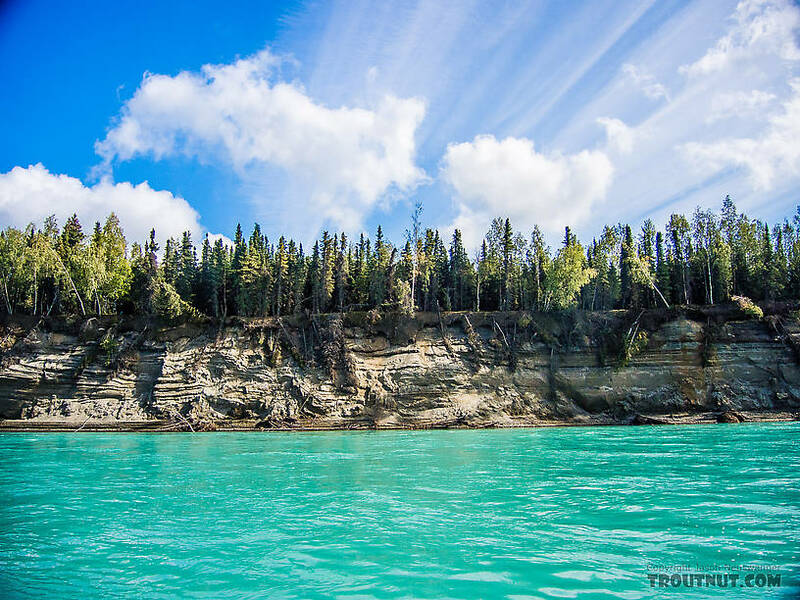 This was Day 2 of a five-day, father-son fishing trip to south-central Alaska. The alarm clock awakened Jason and I early (5:15 a.m.) so we would have time to eat breakfast, pack, and meet our guide at the Troutfitter�s fly shop by 6:00 a.m. Wish we�d had more time to enjoy the deluxe accommodations. 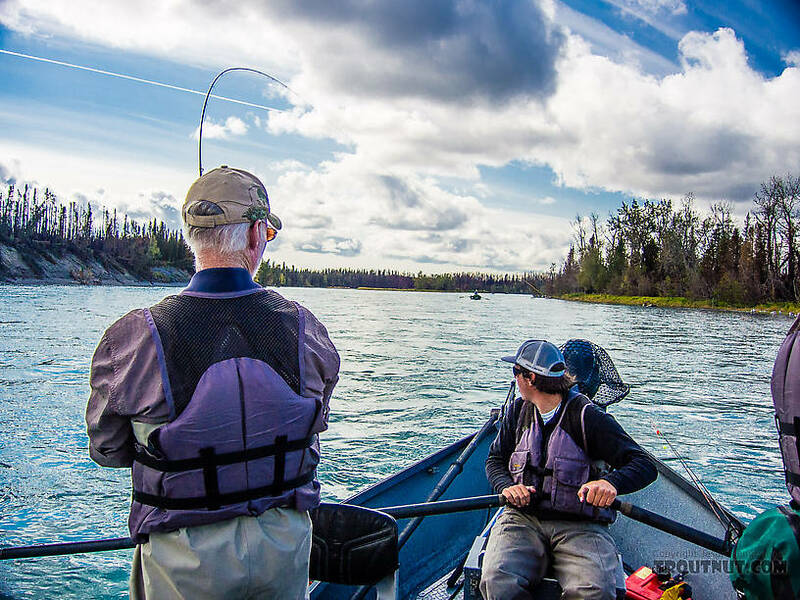 Our guide for the day was a good-natured young man (late 20s) from Montana named Jeff Heiskell, who was in his third season of guiding for trophy rainbows and Dolly Varden on the Kenai River. 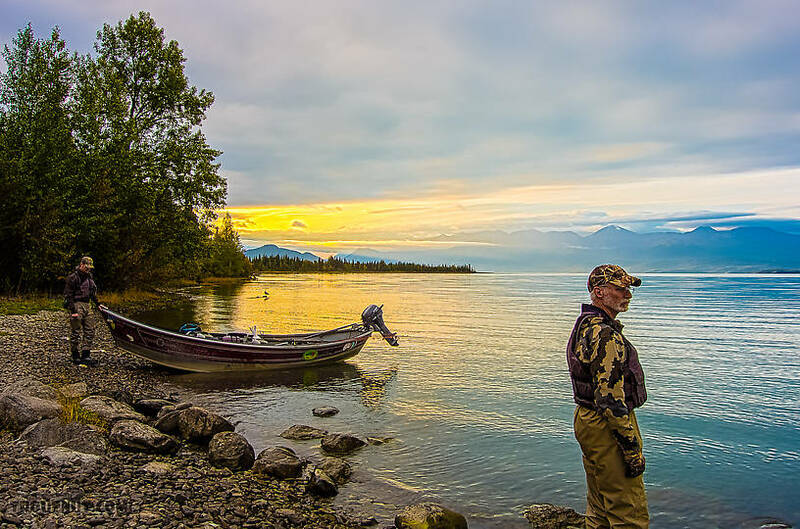 We were to be joined on this trip by a Major in the U.S. Air Force who is an avid fly fisherman and was looking forward to escaping his increasingly administrative job to enjoy three days of not making decisions. I understood completely. 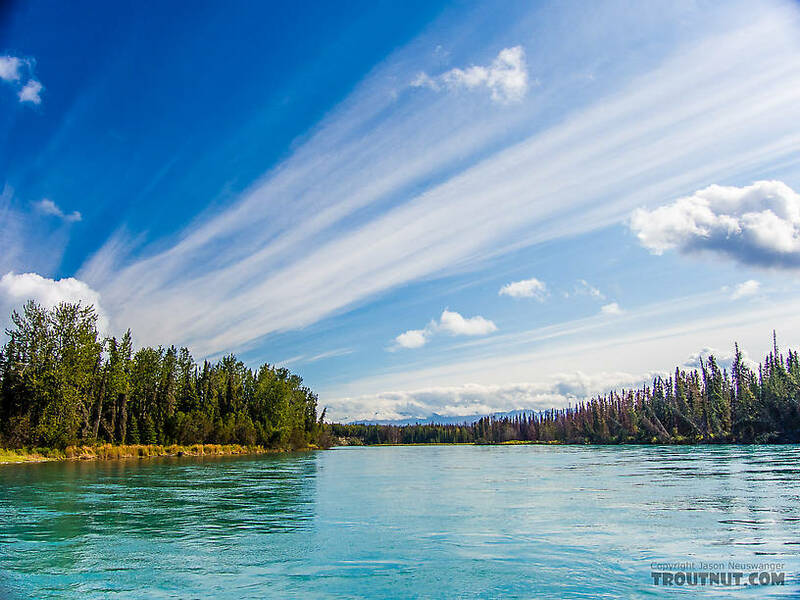 Our destination was 45 minutes west of Cooper Landing along the Sterling Highway on the way to Homer (our next stop), so we paid our lodging and guide charges, packed everything up, and drove in tandem with our guide to the take-out point at Bing�s Landing, several river miles downstream of the put-in point near the lower end of Skilak Lake. We left our vehicle there and rode upstream to the put-in with Jeff, who was towing a 19-foot drift boat (to be shuttled to the take-out during the day by a third-party shuttle service). Rainbow trout and Dolly Varden char would be gorging themselves on eggs below shallow riffles covered with spawning pink salmon. This can work for or against anglers, depending on the number of live eggs available to feeding trout. A moderate number of eggs attracts concentrations of trout to these areas where anglers can target them. 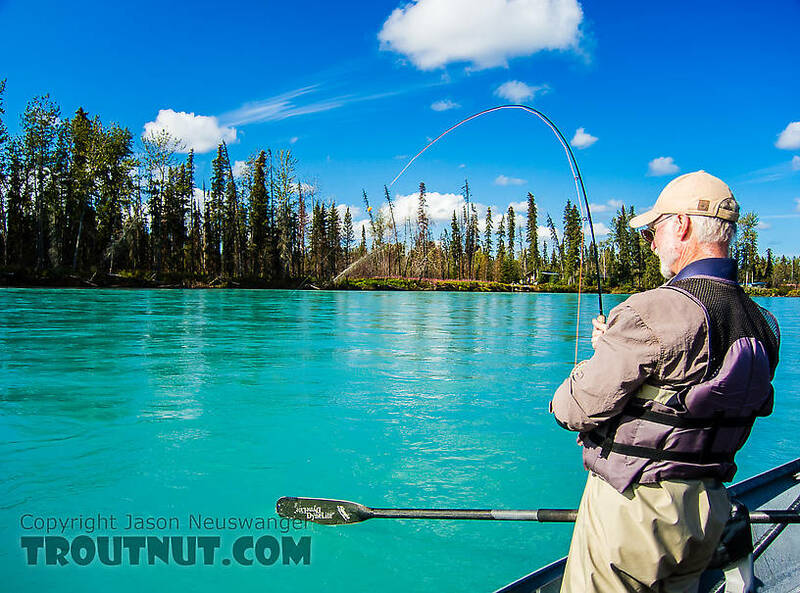 But a high number of eggs can result in a �glut� as the guides call it � a situation in which an angler�s bead may be akin to the proverbial �needle in a haystack� amid the millions of real salmon eggs drifting in the current. We eventually learned that we had, indeed, arrived during a glut. Jeff provided instruction (which I appreciated but Jason and the Major did not need) on the proper technique for roll-casting his 6-weight fly rods and mending the lines in order to maximize the time our weighted beads (attached ~2� up from #6 barbless hooks) would drift naturally in the current alongside the skillfully rowed drift boat. 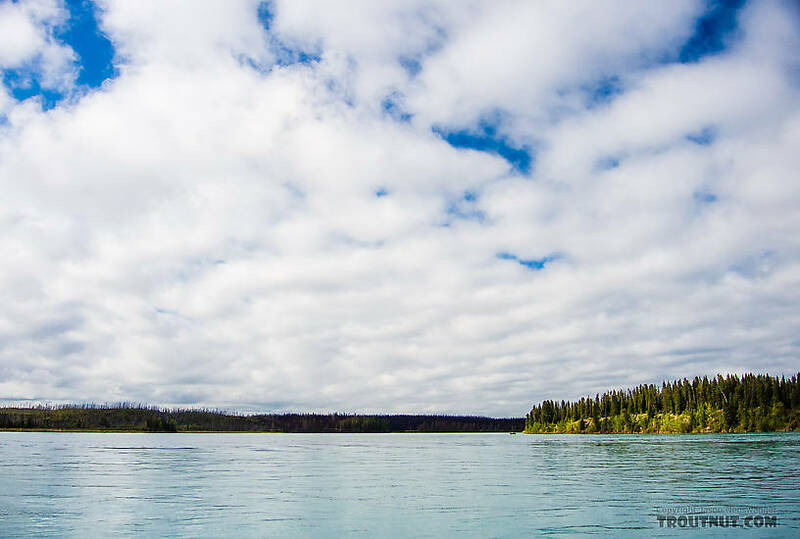 We began fishing on a riffle within sight of the lower end of Skilak Lake, where anglers in other boats were casting spoons for silver salmon with some success. 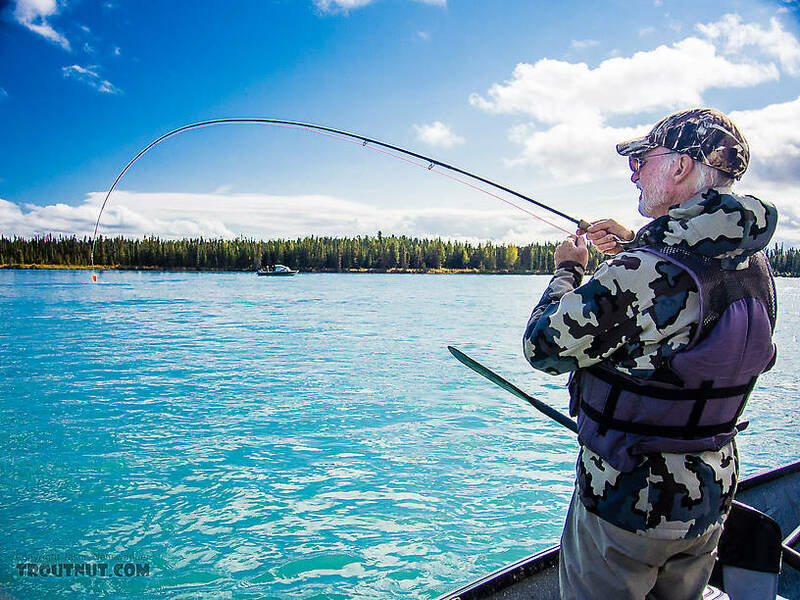 We began catching pink salmon almost immediately � some in the mouth and some snagged accidentally in mid-body that fought particularly hard. I thought they were interesting to see and fun to catch, but Jeff viewed the �humpies� (spawning males) we caught with much disdain; he unhooked them with annoyed alacrity at boatside as quickly as possible before resuming the search for our principle quarry (trophy rainbows and Dolly Varden). I hooked the first sizeable rainbow trout (mid-20s), which made a strong run and leaped far enough out of the water for a positive ID before it spit the barbless hook. 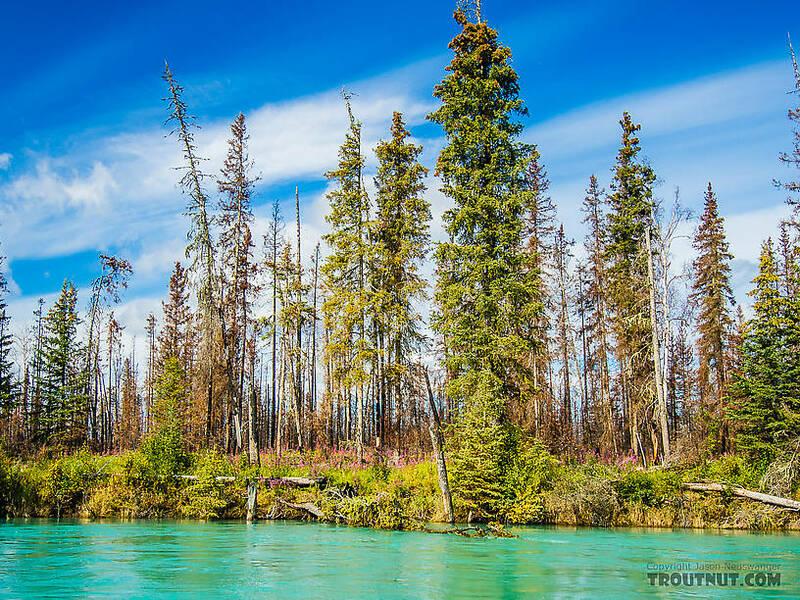 We made several passes over this first riffle � drift fishing downstream and motoring back upstream � because we were having slow but steady action with �small� rainbow trout (14-18�). Jason was substantially out-fishing me and the Major, presumably due to his extraordinary ability to detect and react to real bites. Action slowed and we moved downstream to the next major spawning riffle. 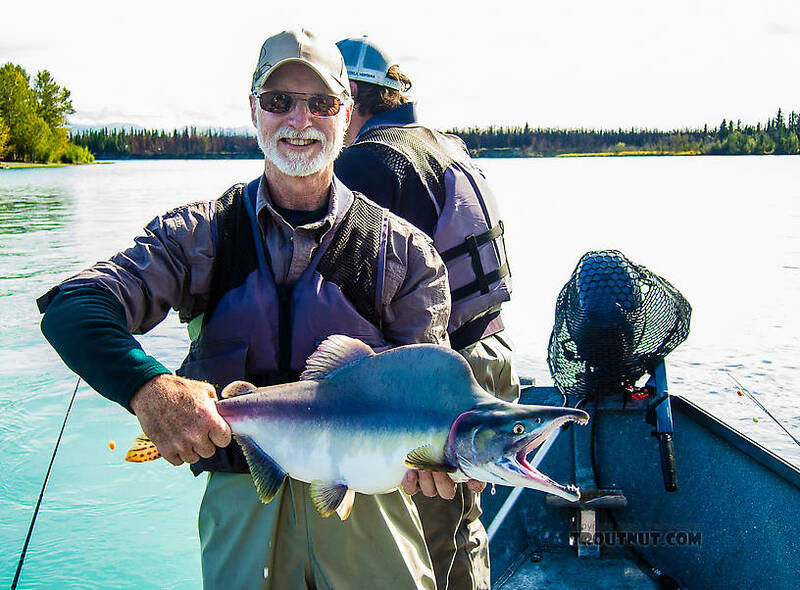 Again, we caught mostly pink salmon, which I was personally thrilled to see and catch, even if seasoned Alaskan trout anglers regard them as something akin to motile algae. 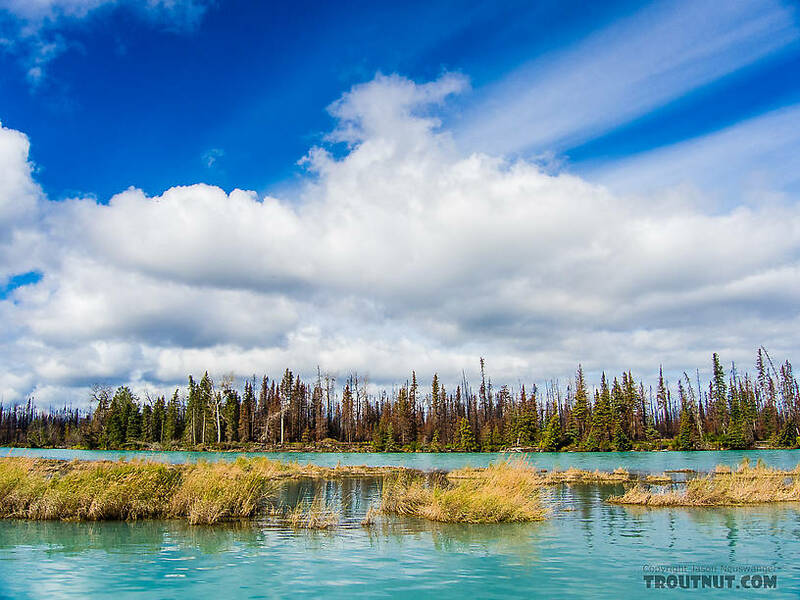 The sun appeared and the air warmed around mid-day, so we stopped to shed outer layers and eat lunch amid some small islands on the inside of a large bend where the pink salmon were spawning. 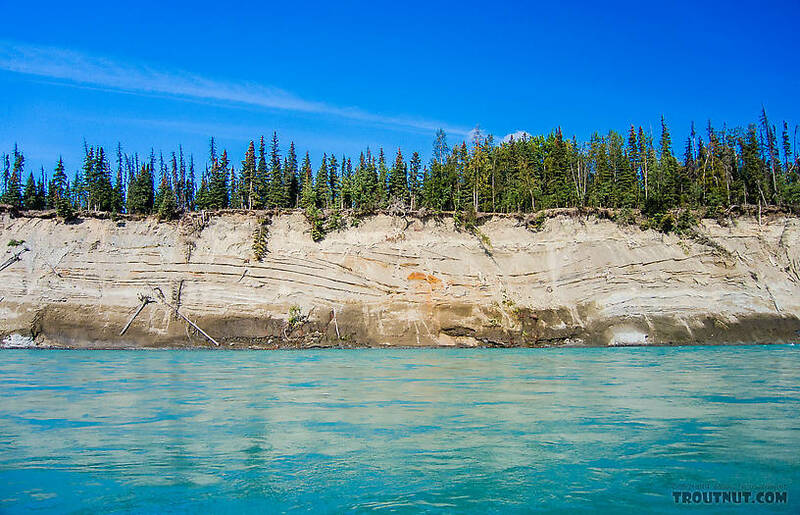 Brief excursions to shore revealed many salmon redds in the shallow channels between the islands, and many salmon carcasses that had been dragged onshore by bears or other animals. We saw no bears on this trip. 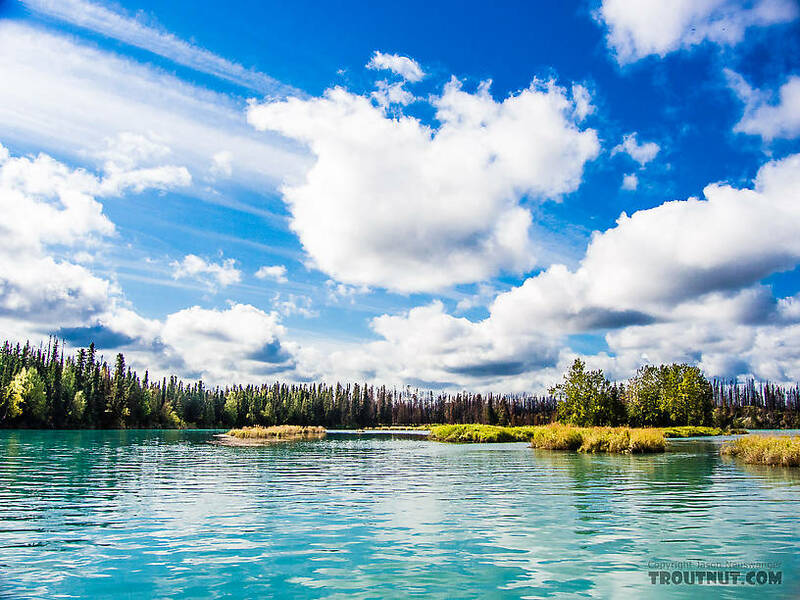 The riparian corridor was wild and undeveloped in the upper reach of this float, but as we progressed downstream, private cabins appeared all along the shoreline. 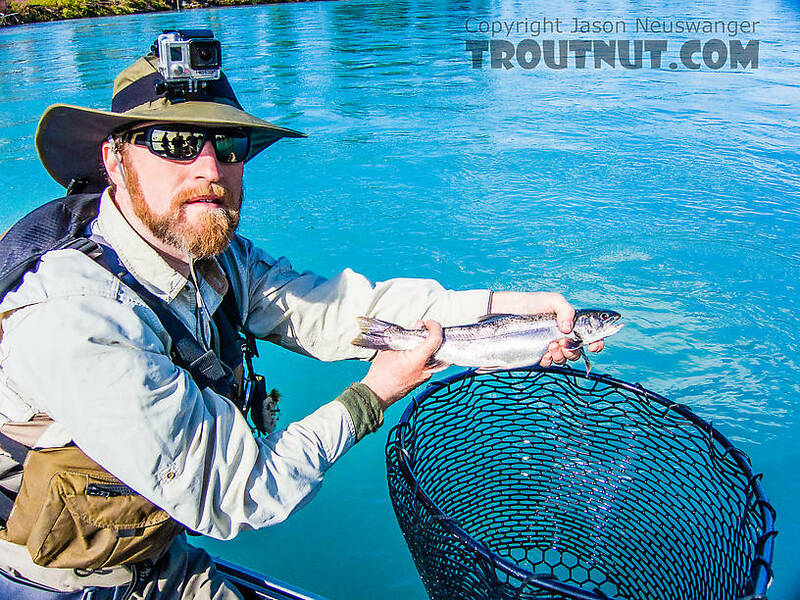 In one of the more highly developed areas, we fished another spawning riffle loaded with pink salmon and caught several more trout, including Dolly Varden; and Jason caught and released his largest rainbow (photographed with guide). Our take-out at Bing�s Landing was only another mile or so downstream. We ended our float shortly after 5:00 p.m., bid farewell to Jeff and the Major, who had been a superb fishing companion, then headed west and south for Homer. 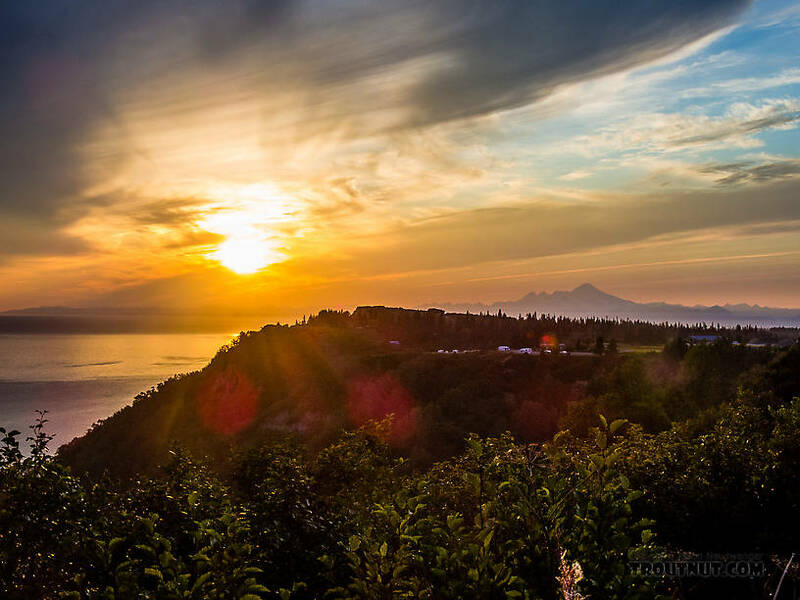 The west side of the Kenai Peninsula offered great scenery, including a view over Ninilchik of volcanic Mount Iliamna. We arrived in Homer just before sunset. 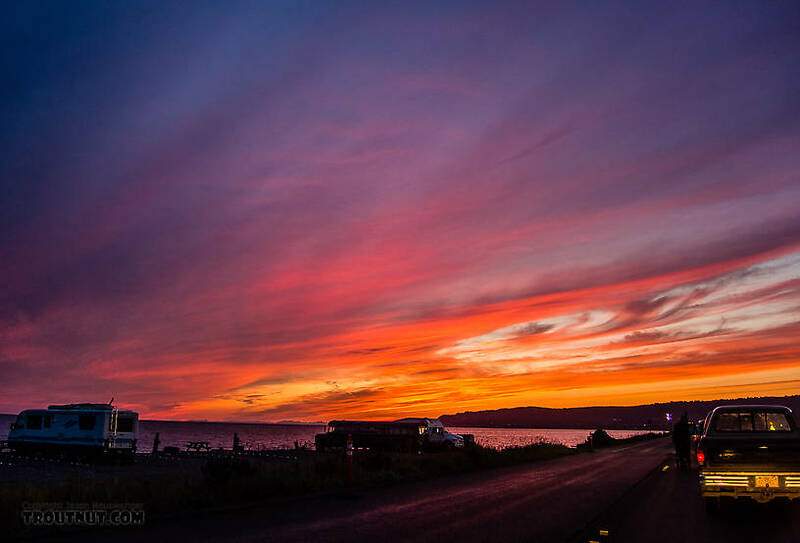 After encountering numerous road construction delays on �The Spit� (to locate our charter service office), we doubled back to the Ocean Shores Motel by ~10:30 p.m. for a good night�s sleep before tomorrow�s charter fishing trip. 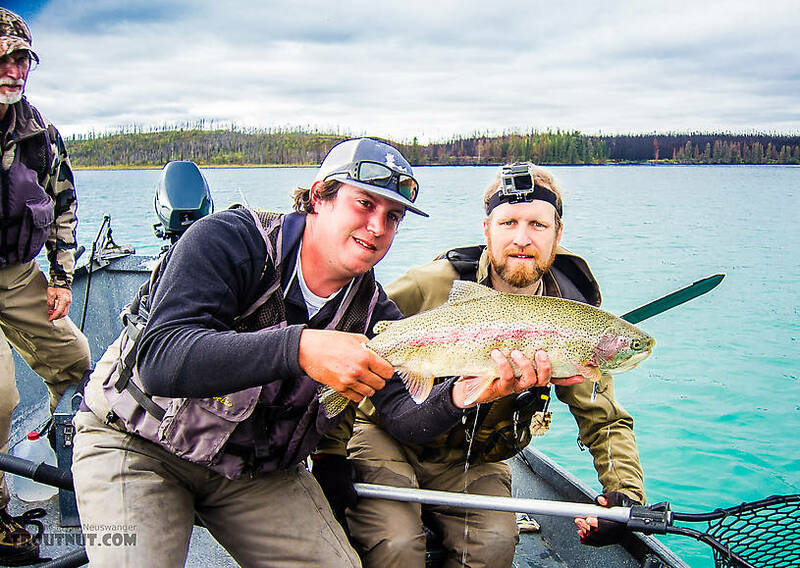 Big rainbow (estimated 25") in the middle Kenai River. 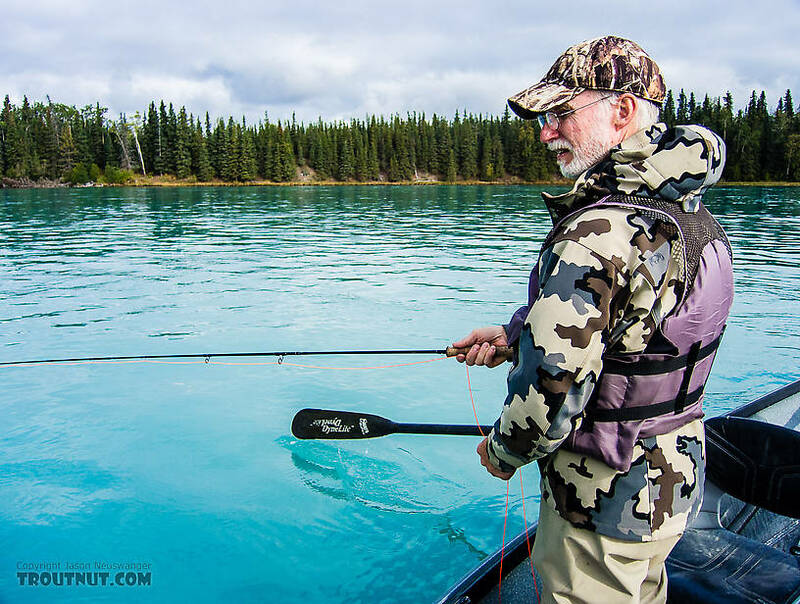 Our drift boat guide (Jeff from Alaska Troutfitters) had a policy that he holds the fish instead of the clients, which felt weird to me but is completely understandable given the diverse clientele and the amount of pressure on these fish. Mishandling by inexperienced clients could add up to a lot of mortality.